Press Sample Just when you thought no one else could come out with another texture polish, here come the China Glaze Sea Goddess Collection. I didn't have the time to sit down and swatch the three shades I received so I wore them all at once! On my thumb (not seen) and index finger I have two coats of Wish On A Starfish. I'm generally not a fan of pink polish but the gold shimmer makes this shade so much easier for me to love. On my middle and ring finger I have three coats of what I thought would be my favorite of the three, Sand Dolla Make You Holla. 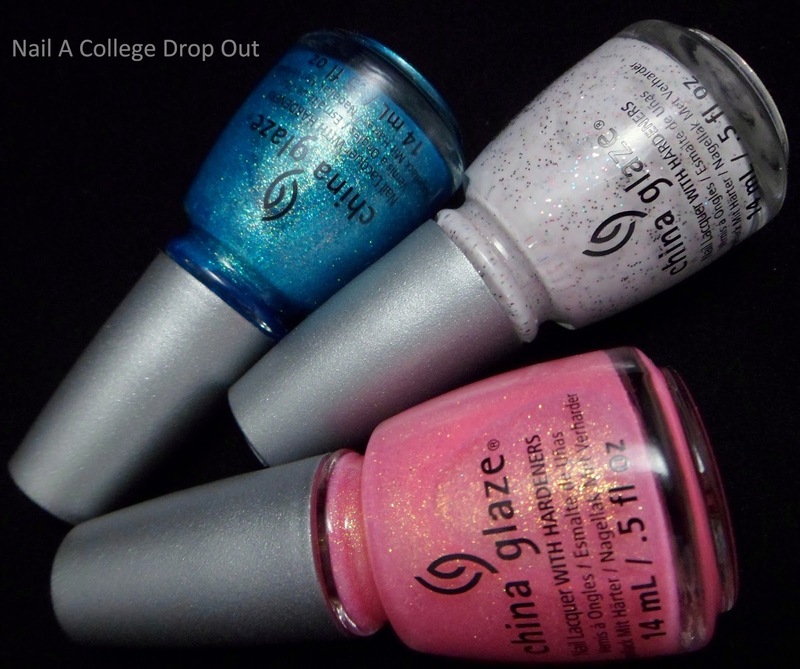 I like the milky white base and the mix of micro "party glitter," but I wasn't a fan of the formula. It wasn't horrible, but it was a bit thicker than I was prepared for. And for my pinky I have Seahorsin' Around. This guy reached full opacity in two coats and is my absolute favorite of the three. How can I say no to an awesome teal with gold shimmer? Are over the texture nail polish trend yet? Or have not gotten your fill? Great swatches! I just reviewed the same collection today (I picked Tail Me Something instead of Sand Dolla Make You Holla) lol. Definitely some of my favorite textures so far! I love these shades! Haven't swatched mine yet but I'm dying to!